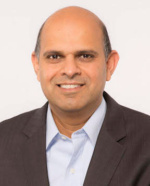 Software-Defined WAN vendor Viptela today announced industry veteran and former Cisco and Dell EMC executive Praveen Akkiraju will become its new CEO as the company looks to increase its presence in the rapidly-budding market. Leading such transformations are a significant portion of Akkiraju’s past. Most recently he was CEO of VCE, the once joint EMC/Cisco/VMware venture which has now been subsumed into Dell EMC. He is credited with helping VCE grow into a $2.1 billion converged infrastructure provider. Prior to VCE, he spent some 19 years at Cisco developing its routing platform business. In his last role, he was senior vice president and general manager of Cisco’s Enterprise Networking group, where he rebuilt the strategy and business for the multi-billion dollar Cisco ISR and ASR product portfolio, Viptela stated. As for what’s to come in the SD-WAN arena in 2017, there’s no shortage of prognostications. Competitor Versa wrote of SD-WAN: In 2017, we predict that not only will more service providers realize the financial benefits to adopting SD-WAN, but they will start layering software-defined security (SD-Security) on top as an add on to further increase revenues and differentiate their offering. SD-Security offers all the security features found in unified threat management (UTM) and next-generation firewall (NGFW) devices, such as firewall, malware protection, URL content filtering, intrusion prevention and more and turns them into virtual network functions (VNF) that only require a generic white box appliance at the branch site. This will further help providers get out of the low-margin business of selling proprietary appliance-based services and focus on generating more customer value and revenue through richer, higher margin software-based services. Akkiraju replaces Amir Khan, Viptela's co-founder and current CEO, who will stay on as president and a board member. The company to date has received about $110 million in funding from primary investor Sequoia Capital, Redline Capital and Northgate Capital. Viptela competes most closely with a band of fellow startups including VeloCloud, CloudGenix, Cybera, Versa and Talari as well as established venders such as Cisco, Riverbed Technology, Silver Peak and Citrix.